If you saw an ad that called out you personally, by name, would you click it? If it showed up in a magazine that you subscribe to, would you read the ad and think it was creepy, or impressive? 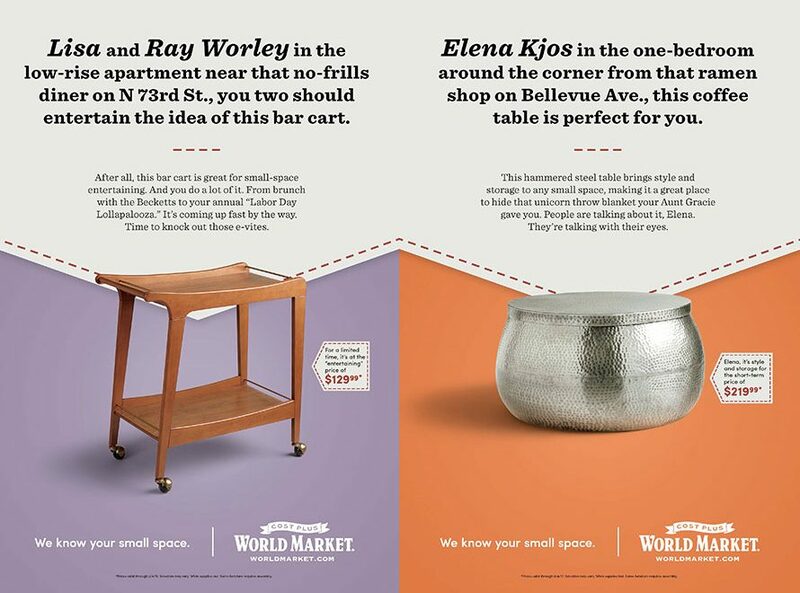 We know that the customer experience starts well before anyone actually walks through your door or visits your site, and World Market gets it. They didn't do any fancy data mining or online stalking to get this information. They went old school by having people opt-in to share their information on their own. Then the info was printed, digitized and put in video for the world to see. The purpose of the campaign? To let people know that "We know your small space." Well played. You can see more of the campaign over at AdWeek.